Mario Cristobal has pulled off something most of us didn’t think we’d see. It’s not to say Oregon isn’t capable of recruiting top ten classes, it rarely happens. It’s even less likely to be ranked top ten on every major recruiting service. As Rob Moseley alluded to and I have previously, the best ever class signed at Oregon was ranked No. 9 on Rivals alone. That was clearly an outlier, not the norm. Once the December signing period concluded, Oregon remained in the top ten hovering right around the 6 or 7 mark. I wondered if the Ducks had done enough to remain in the top ten come February. I thought perhaps they might slip a bit and hover around that 9 mark. That doesn’t appear to be the case however. I wanted to wait until Henry To’oto’o had made his decision, which he did for Tennessee. Along with Daniel Heimuli picking Washington as expected. Although Puka Nacua looms in limbo currently, his commitment to whomever likely won’t impact rankings much outside of maybe a spot in some of the rankings. 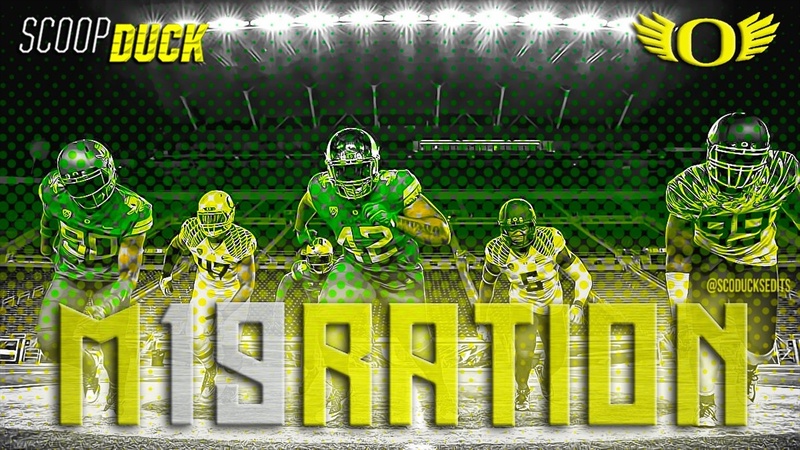 So with that, here is where this Oregon class ranks on Rivals, 247Sports and ESPN. Easily the best finish I think I’ve ever seen with ESPN. Although I do feel they tend to give a lot of credit to the SEC schools, Oregon is the highest ranked Pac-12 program by a significant margin. Washington is next closest at 15 with USC at 20. Wedged in there amongst the elites is Oregon. Just 7 points ahead of Florida who also had a strong recruiting cycle. But the next closest Pac-12 schools are USC at 18 and Washington at 19. Oregon was the only Pac-12 school to sign a 5-Star in 2019 using the Rivals rankings. It's worth noting this is the composite ranking, not 247Sports’ own. As they have Oregon moved down to No. 10 overall. They do tend to promote the composite more than their own ranking so we will do the same here. At 17 and 18, Washington and USC check in as the next closest Pac-12 schools in the rankings. Once again, Oregon is the only Pac-12 school to sign a 5-Star recruit in the 2019 class.